Pelican Publishing Company, 9781455617500, 32pp. 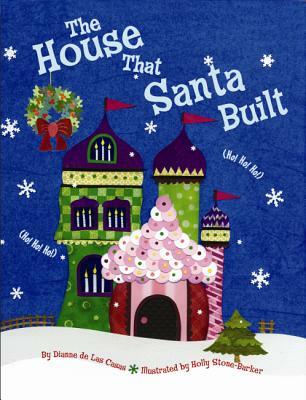 Children will love to sing along with this holiday version of The House That Jack Built. Santa's house is inhabited by a mouse, an elf, a reindeer, a bell, a snowman, a boy, a girl, a baby, and Santa himself. Just as with The House That Witchy Built, Dianne de Las Casas includes claps and sounds for each element, from the girl's kiss (smooch smooch ) to the elf's laugh (hee, hee). Holly Stone-Barker's intricate cut-paper illustrations accompany the text for a holiday experience that is sure to become an instant family classic.